Gutter protection solutions are more challenging than many people think. Figuring out how to keep debris out but get all the rainwater in is not as easy as it sounds. For example, many gutter protection options have water ‘flyover’ problems. In a heavy rain, it is not just the debris not getting in – a lot of the water is being blocked too and ends up “flying over” the edge of your gutter. Other systems have other issues – like trouble keeping out fine debris, which will lead to clogging. Great gutter protection requires superior design and technology. And that is exactly what Guttershell has – a unique system that others would like to copy. But they can’t, because this is a patented solution. Guttershell uses the principles of water tension and the adhesive quality of water. This is what allows for our famous ‘double-drop’ design. When water flows down onto our gutter protection, the water molecules cling to the surface in defiance of the forces of gravity. This means that rainwater will adhere to the “S” design of Guttershell. Most of the water will flow into the first “drop” (also called a “nose”). The water that does not flow into the first drop can then flow into the other drop (2nd nose). Keep in mind that while water will cling to surface of our gutter protection because of water tension, any debris does not. The water flows in; the debris stays out. You might hear about other gutter protection systems that use the principle of water tension. But these are ‘single-drop’ systems. In heavy rain, the single drop is sometimes not enough to handle all the rainwater, and water flyover can occur. While you probably like knowing why Guttershell’s design makes it effective, we’re betting that what you really care about is: “will this keep my gutters clog-free?” The answer is a clear YES. In fact, you can visit out Clog-Free Guarantee page to see the details. We are sometimes asked if this gutter protection will eliminate ice damming and icicles. Our system cannot guarantee in a New England winter that you will not have icicles, ice damming or frozen gutters. To our knowledge, no system can claim to completely eliminate that. However, we do know that it does help in many cases. For example, we recently had a customer who had us install our gutter protection on only part of his house. When ice and snow hit, he noticed that the part of his house with gutter protection did not have any icicles, while the unprotected gutters had plenty of ice issues. He called us back to have us put it on all his gutters! The bottom line is that it can help, but we can’t say that it will prevent all ice and all situations. 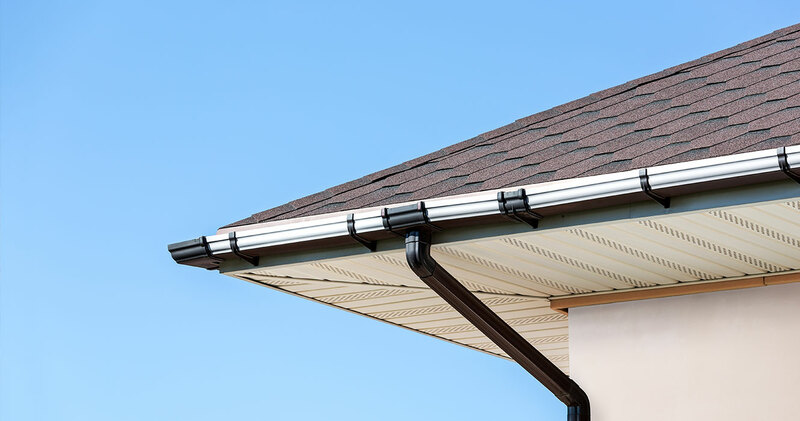 Also, if you are interested in a higher level of protection, please visit our Heat Wires page to learn of an optional upgrade we offer for your gutter system.